Byrne highlights the importance of gratitude and visualization in achieving one’s desires, along with alleged examples. Later chapters describe how to improve one’s prosperity, relationships, and health, with more general thoughts about the universe. This book has had much criticism because it seems to good to be true. My dad used to always teach me that if something sounds to good to be true it probably is. While I think there is some merit to that I also am a firm believer that what you focus on expands. 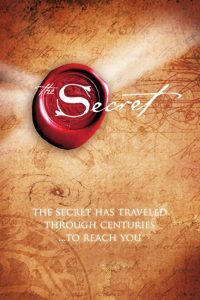 The Secret is all about good thoughts tied in with the law of attraction. I would say that I feel that people need to take it beyond just thoughts in the mind. After all, people have good, bad and indifferent thoughts all the time but if they are not acting on those thoughts then they are just thoughts. I really think that the concept is a good one because every action that you take started with those thoughts. In the Ninja Selling training it teaches that what you focus on expands. This can be explained with the example of buying a new truck. I know that when I am getting ready to buy a new vehicle I start to research it. I am a Chevy guy I drive a 2008 Chevy Silverado, but when I was looking to buy that truck 5 years ago I started to focus on all Chevys. As I would be driving I would start to notice every single Chevy truck on the road, old and new. I was driving a Dodge at the time and did not like it. I was not focusing on the negative thought that I did not like the Dodge, I was focusing on the positive fact that I am going to buy a new truck. The point is that what I focused on happened, not simply because I thought really hard about it but that I began to take action on what I was focusing on. This is why it is so very important to set goals in your life. If you have not set any goals that involve a person’s prosperity, relationships and health then you are just moving around life in a random manner. Set goals, focus on positive aspects of those goals then start setting smaller daily goals that will help you achieve the larger goals. You can be successful in all aspects of life but it all starts with the biggest secret that nobody knows but you. Your own thoughts.